1. 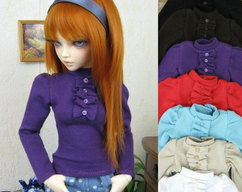 One piece for sweather for MSD size dolls. Modern design - lose fit, longer back. Beautifull and soft! Stretch fabric with small sequines. 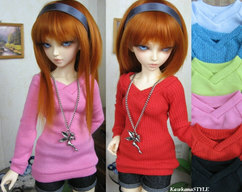 Please choes color from the list. You can chose only one in this listing. For more pieces please send me a convo. Please note that item will be sewn after order, so item can be shipped within 2 weeks after paymend will be made.